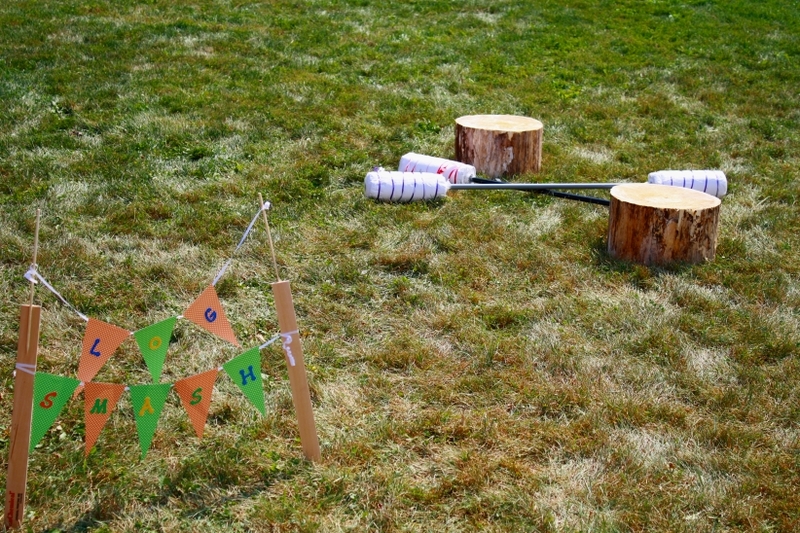 Log Smash Jousting Game - THE OLIVE BLOGGER - Recipes your family will love! 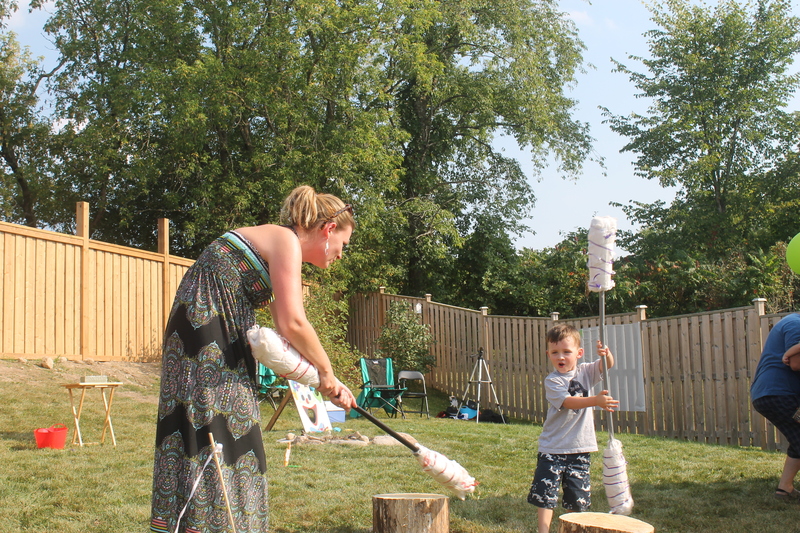 I had my mom cut a stump in half (about a foot high) and then assembled my “smash sticks”. All I did was go to the dollar store and purchase two broom handles along with some paper towel rolls. You will also need to make a stop at a hardware store to pick up a piece of pipe insulation (it’s a foam wrapper that goes around a pipe, however in this case I used it on the broom stick). Sorry for the lack of pictures on this one! It was getting very close to party day and I had a million things left to do, I thought I snapped pictures of the pipe insulation etc but I can’t locate them! All you do is take your insulation and cut it to the size of the paper towel roll. Place it on each end of the broom stick and slide your paper towel over top. It will be snug but that is what you want! Once I had them in place I used ribbon to wrap around the paper towel and dress it up a bit. Then I used packing tape and wrapped the entire paper towel roll to make sure it stayed in place. That’s it! Repeat for your other stick (I used a different colour ribbon) and voila! Here’s my sister playing with our adorable nephew!